Retractable banners are great and successful display pieces, as they’re durable, vibrant, versatile and portable for all branding needs! The stands for our retractable banners can easily collapse and fold into a carrying bag. This capability makes them extremely convenient for you if you’re moving your banner from one event to the next. 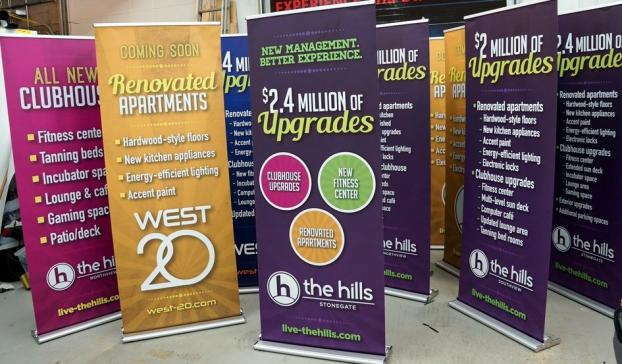 You can also use whichever banner is typically featured in your office, collapse it, transport it to your trade show, set up and tear down and bring it back to your office for the next day. Now you won’t have to worry about buying signage specifically for your event and shows! During our consultation phase, when we find out more about your business, we’ll be able to determine the brand look you want to push and represent through your banners. We’ll identify a few pieces here and there and work with our design team to create a banner that visually compels the customer to invest in your business. 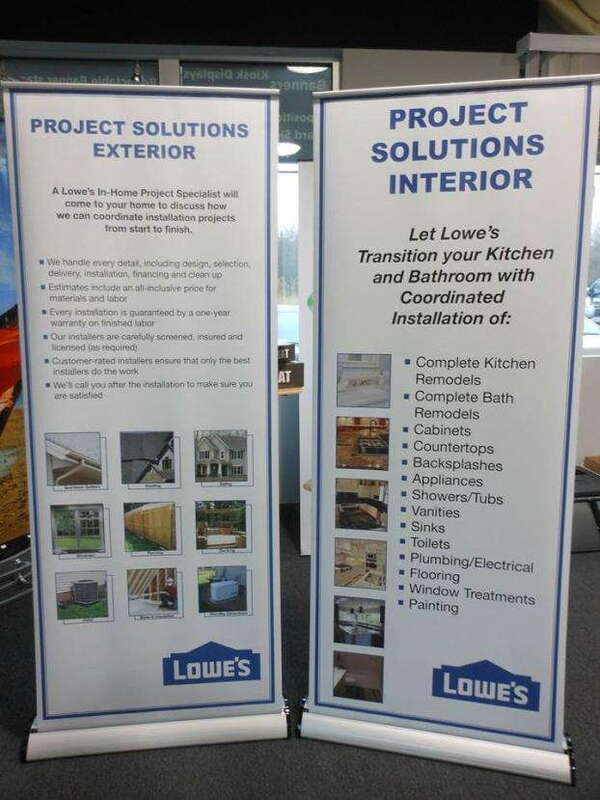 In addition to creating vinyl banners that are versatile and portable, we also vary the products and materials used to produce our physical stands. Whether you’re looking for a metal frame with strong additional gadgets or a standard-sized table-top banner stand, we have a variety of packages for you to choose from! Two names you’ll find yourself familiar with are Decolit and Ultraflex. 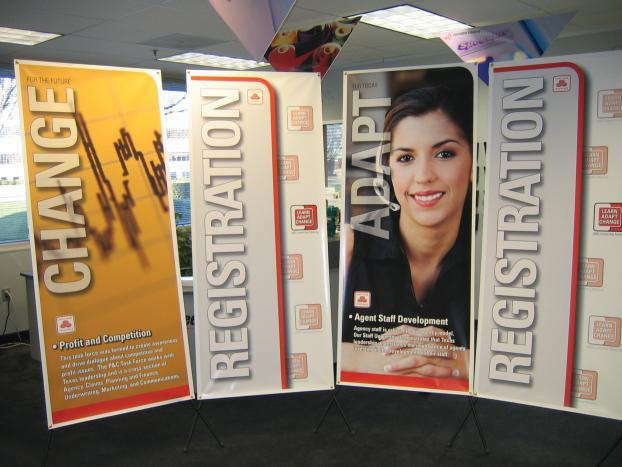 You’ll find them available in all of our custom retractable banner stands. If you’re looking for a double-sided banner, Ultraflex is the answer. This feature allows for a thicker banner and is ideal for use in outdoor settings. Decolit provides a thin material, which makes for a lighter weight — a great option for one-time events or temporary signage, as it can be easily transported.